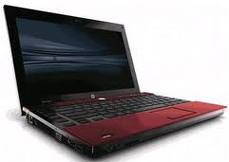 Articles about "HP ProBook 4310s" in this website is free. Read our reviews for "HP ProBook 4310s", gadget price, specs, features and find more latest Electronic Gadget Reviews and News. HP ProBook 4310s Notebook PC an affordable choice to keep your business moving forward. It is a 13.3-inch laptop that is powered by Intel Celeron or Core 2 Duo CPU, FreeDOS or Vista operating system, a DVD or Blu-ray optical drive, and an integrated or discrete graphics (ATI Mobility Radeon HD 4330 with a 512MB of RAM and HyperMemory support). The HP Probook 4310s notebook also offers an optional Fingerprint Sensor that facilitates logging on to computers by the use of fingerprint authentication thus discarding the need to remember login names and passwords. The HP ProBrook 4310s also supports up to 8GB RAM, EV-DO, ExpressCard 34, and an SD memory card. The HP ProBook 4310s laptop is priced at $799 upwards, depending on the specs. Owners of the HP ProBook 4310s can travel in style with the new HP Professional Series Cases, which use quality materials and design. Both Essential and Professional series cases include a top loader, backpack, messenger, designer tote, slip case and quick case.